Earrings!!! I love making earrings! 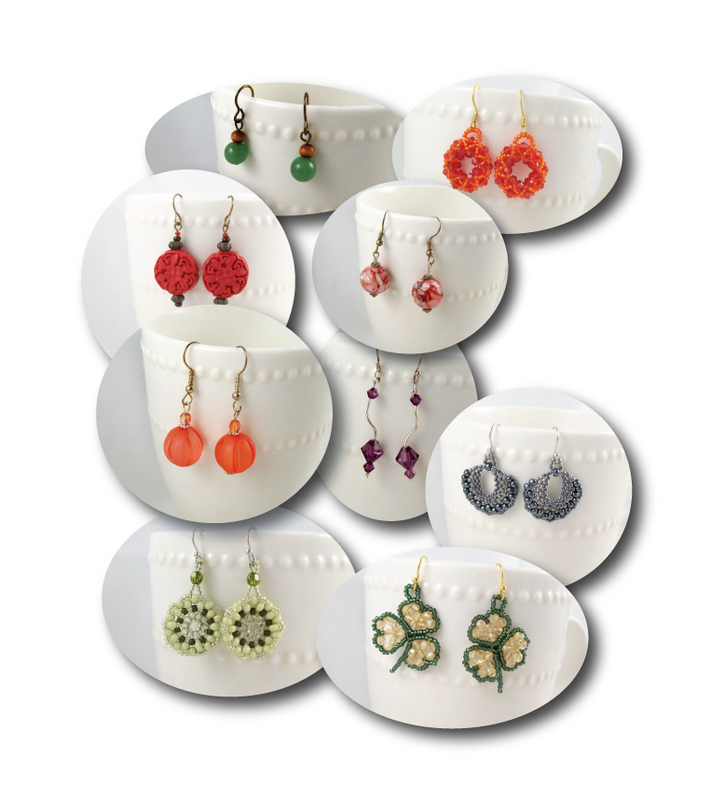 They are a great project for beaders and jewelers because you get pretty quick gratification upon their completion! Some of the above earrings took only about 20 minutes to make....some took about 90 minutes to make. All of them, however, were fun to make! I enjoy making earrings so much that I started an Earrings of the Month Club last year!! April 5th also marks my THREE YEAR 'blogoversary!' I'm humbled by all the visits, comments, and more than anything - all the WONDERFUL friends I've made BECAUSE of my blog over the last three years!! Congratulation for your third blogoversary!!! I love making earrings, too. In fact they are the jewellery I wear most often. Congratulations on your 3 years! and your earrings are gorgeous! These are gorgeous earrings Amy I am really drawn to those grey ones. I love all your earrings! And, congratulations on your 3 years. I value your friendship, and even though we lived in the same area, we probably would never have met if not for the blogs! Love the earrings they are all so pretty, but my eye went right to the shamrocks!